Flashback to the mid-1990s: Magic: The Gathering was in its infancy, and the concept of Collectible Card Games had boomed, largely busted, and was reinventing itself. Toy Story was about to revolutionize computer animation. The internet was generally accessed over home telephone lines by slow, external, dial-up modems. It was basically the stone age. It was into this world that TSR introduced the Collectible Dice Game known as Dragon Dice, to some degree of critical acclaim. 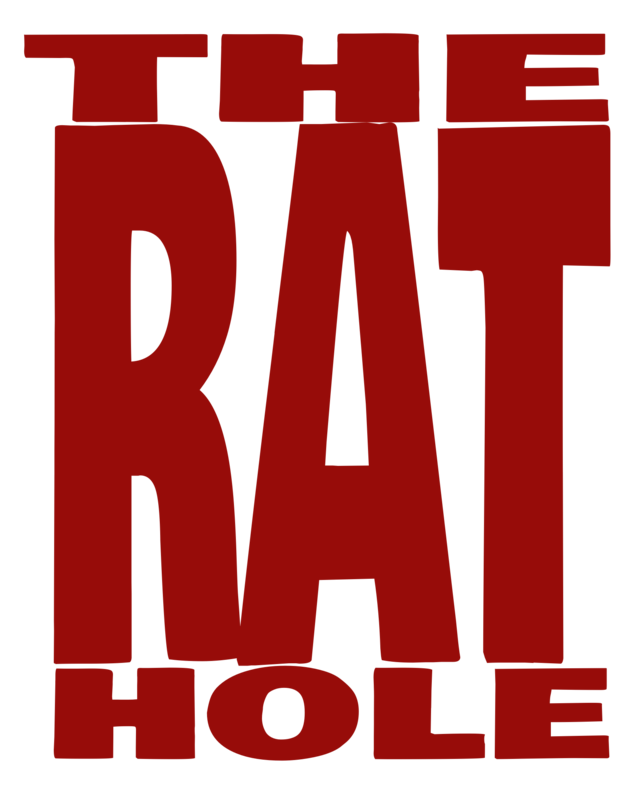 By the dawn of the new millennium, TSR had been bought out by Wizards of the Coast, who eventually mothballed the game, to focus on other projects. It was at this point that the newly founded SFR Inc entered the picture, purchasing the rights to Dragon Dice; saving it from a fate worse than the E.T. video game ( Actually the same fate, but still worse because Dragon Dice is actually good). 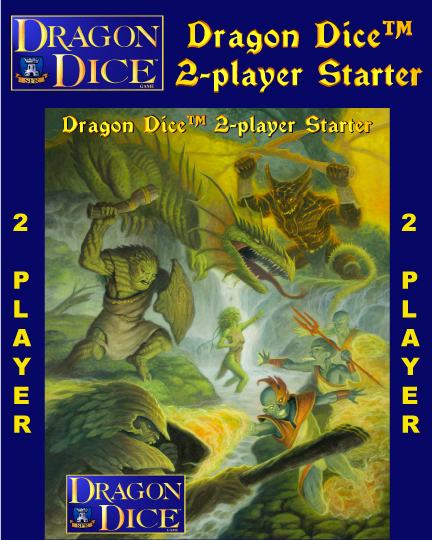 As previously mentioned, Dragon Dice is a Collectable Dice Game in which a player creates an army out of a selection of different dice that they have acquired. As with most “collectible” games, dice are acquired in larger “starter” sets and smaller “kicker” sets. Kickers each contains set number of semi-random dice of a specific race, allowing you to build and tailor the type of army you want to play. SFR’s current 2-player starter set includes the equivalent of 4 kickers (2 each of the Treefolk and Firewalker races), 4 semi-random Dragons, 4 semi-random Terrains, 2 paper play mats, and a quick start/basic rulebook. SFR’s webstore sells all of these, and also has a “build your own starter” feature. This allows a player to select 2 options from 9 races, and receive 2 kickers of each race, 4 non-random Dragons (that match your selected races), and 4 semi-random Terrains. While this option is more customizable, it does not include the rulebook or play mats. Although versions of both of these are available as a download in their forums, and you can also purchase some very nice fabric/rubber play mats from them. The webstore also offers a large selection of smaller expansions and dice that were originally offered as promotions over the years. The first step of a game is to decide the size of the game. A standard event size is 36 Health of unit dice, while the starter set includes 30 Health worth of unit dice for each side. From there you create your army from your collection of dice. Single race armies are by no means mandatory but are generally easier for newer players. This is probably the most challenging part of the game for players until they have taken some time to learn what dice they have. The basic units of each race all break down into similar categories determining what actions are likely to be rolled, however, the icons for those actions are unique to each race which can be a challenge to learn. Each race also has unique monster units with special ability icons. All of these icons are explained in the basic rulebook for the starter races, and in the downloadable full rulebook for all races. Each player will also select a number of Dragons (depending on game size) and 2 Terrains to use. Next you split your army up between the different terrains, and play starts. The goal is to control 2 of the terrains (by turning them to their 8th face) or completely kill off the other army. The first player will select one of the terrains in play and indicate that they are attempting to maneuver at that terrain. If your opponent contests your maneuver, you each role your dice at that location, and compare movement results. If you are successful, you may increase or decrease the number showing on that Terrain by one. Once you have done this you may roll for the attack action showing at that terrain (either Magic, Missile, or Melee). You may do this for up to 2 different Terrains on your turn. The first player to attain either victory condition wins. For the record, I’ve simplified things a fair amount in the above description, but I hope you get the gist of it. This is a really fun game. It can be a bit daunting at first, but the actual gameplay is fairly simple. The hardest part about it can be finding other players. If I were you, I’d get some friends together, talk to your Friendly Local Gaming Store, and see if they will order the game in for you. Play it in the store, get more people to play it, and build a community of players. If you don’t have a FLGS you can go to SFR’s website and order some for yourself and your friends, but shipping outside the US tends to be pricey.